At Mr Pig's Motorcycles we are proud to offer the latest technology available in MOT testing. We have heavily invested in this equipment for the benefit of you, our customer. 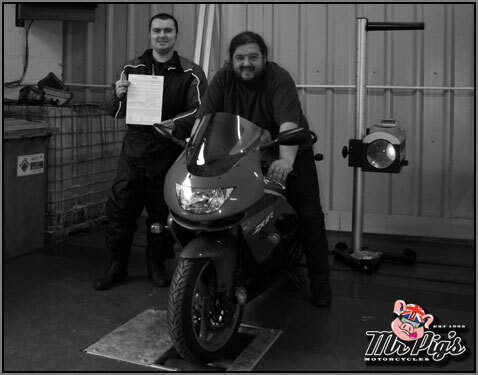 This equipment offers a fast and effective MOT, across the motorcycle range, from scooter to ultra sports bikes. Now the winter is HERE, make sure everything's working by calling 0161 272 6088!